All claims for mis-sold PPI compensation must now be started by August 2019. Find out how to reclaim mis-sold PPI, using our free guide and tools and keep 100% of your compensation. At least two million people may have a payment protection insurance policy they couldn't ever claim on. Read our checklist to see if you’ve been mis-sold PPI. Use Which? to make a free, quick and easy PPI claim before the August 2019 deadline - and you'll keep all of your compensation. Banks could do so much more to help you get the most out of your money. 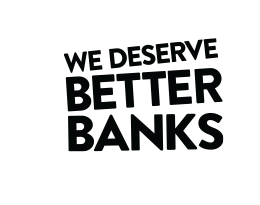 The big players in the market need to up their game, and the competition inquiry must ensure banks are held to account for how they treat their customers. How to reclaim mis-sold PPI for free, dealing with lost credit or debit cards and help with tax complaints are just some money issues our advice can help with.